Bill Lawrence, Head of Cinema: The Widescreen Weekend is a celebration of all that is extraordinary in large format film and has become a highlight on the film festival calendar. 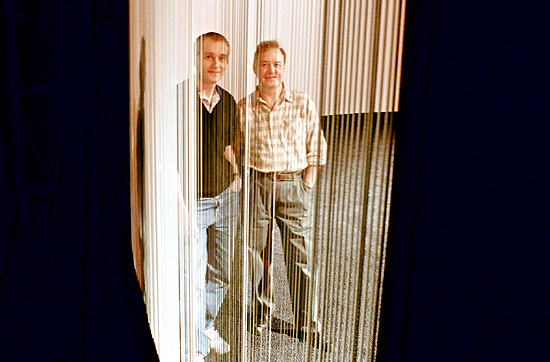 Tony Cutts & Duncan McGregor, Heads of Projection: The audiences clearly prefer the curve to the flat screen. Generally, we have a difficult job explaining the difference between the formats and what film goes on which screen. "Why don't you show this on the curve?" they often ask. Bill Lawrence, Head of Cinema: I get quite a lot of feed-back from our guests in the form of letters, e-mails and phone calls. 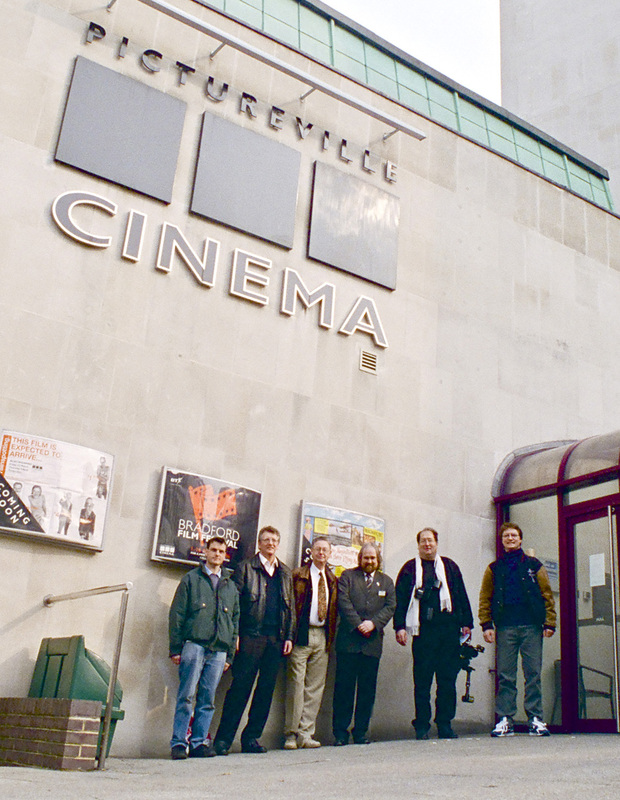 People are very happy, they had a great time and they think Pictureville Cinema has a nice atmosphere and is a nice place to visit. They generally have a good time here. Thomas Hauerslev, Editor The 70mm Newsletter: Mr Bill Lawrence, senior film programmer at NMPFT, introduced the performance and told the story of how the staff had worked hard to make this work. There was a big applaud for Tony and Duncan from the audience, and Bill Lawrence continued: "Without the International Cinerama Rumour Factory this show would never had taken place". 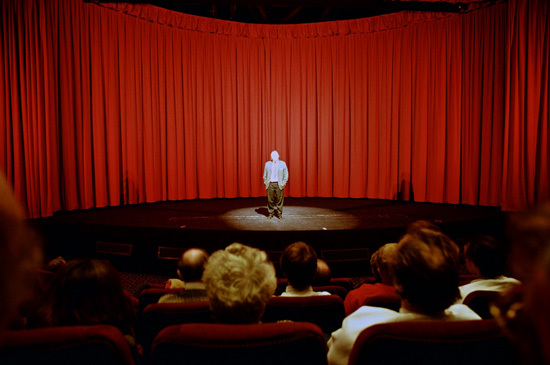 The audience, now VERY eager to see the film, was greeted welcome once more, and the show began. The first thing I noticed was the tape hiss. This is really a thing of the past, but to me, tape hiss spells MAGNETIC SOUND. And then, 7 tracks of stereophonic music bursted out of the speakers. "I Am Bound For The Promised Land" and many more by Mr Alfred Newman in the overture, can make a grown man cry. This was real STEREO. Modern 6-track mixes are 6-track mono compared to this. This was a completely different sensation. A very nice sense of being present. 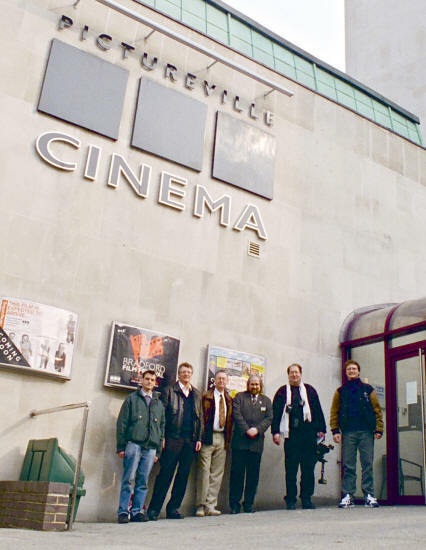 Thomas Hauerslev, Editor The 70mm Newsletter: The Pictureville cinema, the jewel of British cinema in Bradford, West Yorkshire in the heart of Great Britain, is one of three cinemas equipped to show Cinerama in the original 3-strip format. The huge screen is wide and deeply curved. It’s the perfect framework to present 70mm with 6-track sound in Super Technirama 70, Todd-AO and Ultra Panavision 70. Why is 70mm so special? 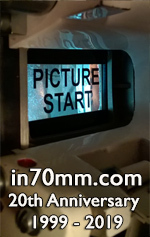 "in 70mm" is unlike anything you have ever seen - a High Definition movie experience with extremely sharp images and crystal clear 6 track stereo. "in 70mm" is very realistic, almost three dimensional and can make everything you have ever seen pale into insignificance. But don't take our word for it - come and see for your self.